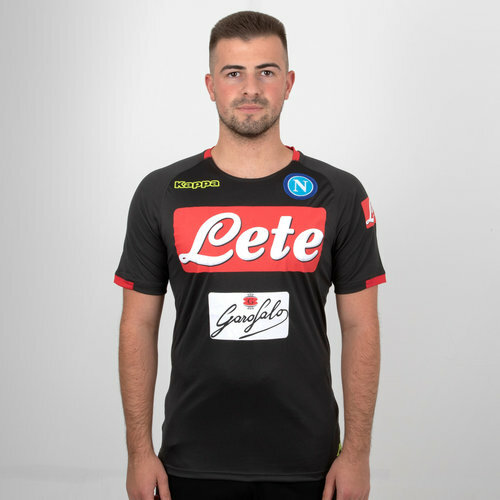 Show everyone that the Blues are your team whether you're in training or at the Stadio San Paolo in this Napoli 18/19 Football Training Shirt from Kappa. This training t-shirt is sure to keep the wearer comfortable during those tough sessions. Made from 60% cotton and 40% polyester this round-neck t-shirt is void of irritation. It comes in black with red detailing. The Kappa logo is on the right with the club badge on the left.